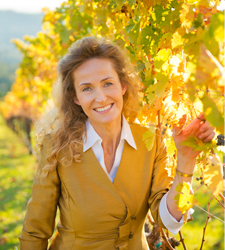 Welcome to the online home of Sonoma County real estate expert, Mary Anne Veldkamp. Having assisted countless buyers, sellers and investors over the past two decades, Mary Anne welcomes you to her website and looks forward to sharing her in-depth knowledge of the local community and her real estate expertise with you. Offering a beautiful mix of vineyards, oak studded hillsides, and charming small towns; Sonoma County is perhaps one of the most desired areas to live. In fact, Trip Advisor recently rated Sonoma County as the top wine destination in the United States and second in the World, only behind Tuscany. Whether you are considering homes for sale in Napa CA or throughout Sonoma County for your primary residence, your vacation escape or your income producing vineyard, Mary Anne looks forward to helping you achieve all your real estate goals. Within the county, potential buyers will find a myriad of housing opportunities available to them. The largest city in the county, Santa Rosa offers a vibrant downtown with a beautiful terraced walkway along the creek. Property options here range from traditional single-family homes to the most elaborate estates and wineries. The beauty of Healdsburg is unsurpassed; visitors often compare the area to Tuscany. Many of the finest regional wine appellations on the west coast surround Healdsburg. Petaluma is renowned for its rural feel and ranches, while the town of Sonoma, with its historic plaza and popular wine tasting rooms, is a highly sought-after community and offers a mix of real estate choices from townhomes to estates. Simply put, Sonoma County real estate has something to offer buyers and budgets of all types. To learn more about Sonoma County real estate, Realtor Mary Anne Veldkamp welcomes you to browse her website at your leisure and encourages you to contact her with any questions you may have. She is always just a phone call away and looks forward to welcoming you home to Sonoma County. Connect today!